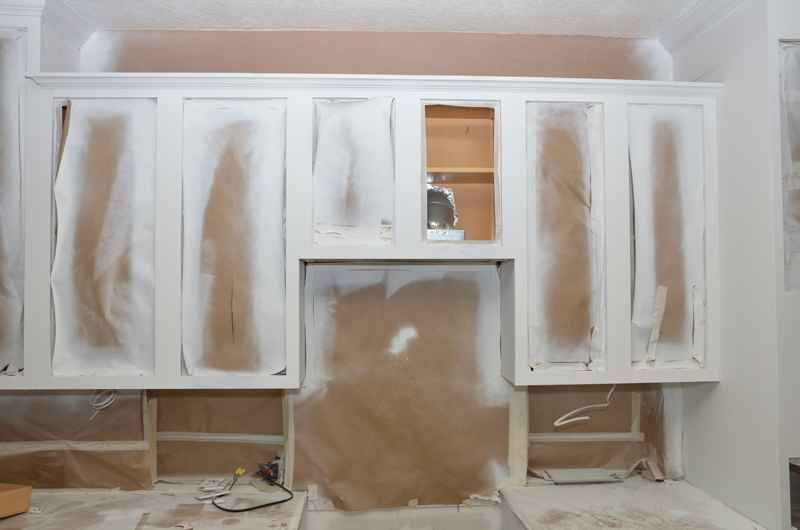 Our cabinet resurfacing process takes two days. You remove all cabinet doors and hardware and we take it from there - we prep, prime, and refinish with the most durable coatings available. Masking walls and floors, several coats of primer. Several coats of the color you choose. (Clear top coats can be applied for an additional charge).